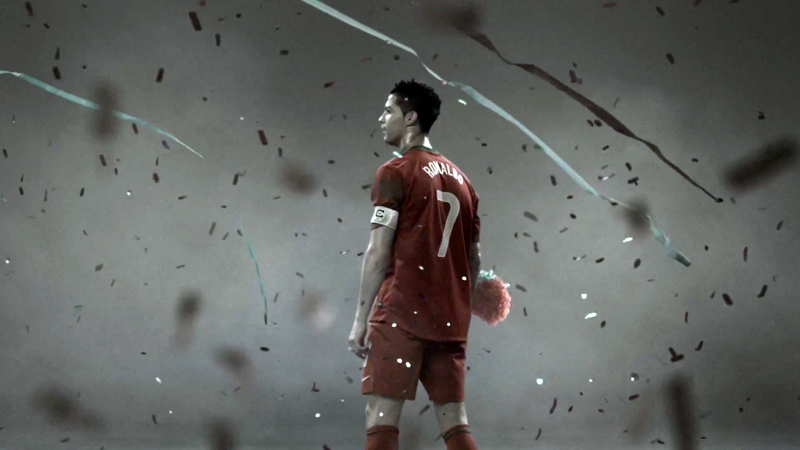 Nike is running “Vapor Trail”, a television commercial featuring the carnage left by football player Cristiano Ronaldo wearing Nike Mercurial Vapor IX as he explodes towards goal. “Vapor Trail” opens on a clown wig being blown through a soccer field littered with players. The wig rolls past fans, refs and photographers all struggling to stay grounded in the squall. Even an armored SWAT team becomes uprooted. Then we see what, or rather, who is causing the disturbance: Ronaldo dribbling with grace and speed toward the goal. He gives the ball a mighty kick into the net, then turns back to evaluate the now-settled clutter behind him. The supers “Be Fast. Be Mercurial.” glide into view, along with Nike’s new soccer cleat and their iconic logo. The Vapor Trail campaign was developed at Wieden+Kennedy Portland and Wieden+Kennedy Tokyo by global creative directors Ryan O’Rourke and Alberto Ponte, copywriter Andrew Miller, art director Naoki Ga, producer Andy Murillo, executive producer Ben Grylewicz, executive creative directors Mark Fitzloff, Susan Hoffman and Caleb Jensen. Filming was shot in Madrid by director Mark Zibert via Imperial Woodpecker with executive producer Charlie Cocuzza, line producer Andrew Travelstead and producer Shelli Jury. Editor was Kyle Valenta with Joint Editorial. Post production was done at The Mission Studio by executive producer Michael Pardee, creative director Rob Trent, Flame artists Miles Esmiller, Michael Vaglienty and Katrina Salicrup, and VFX producer Diana Cheng. Sound was produced at Barking Owl by sound designer Michael Anastasi, producer Kelly Bayett, and mixer Brock Babcock.